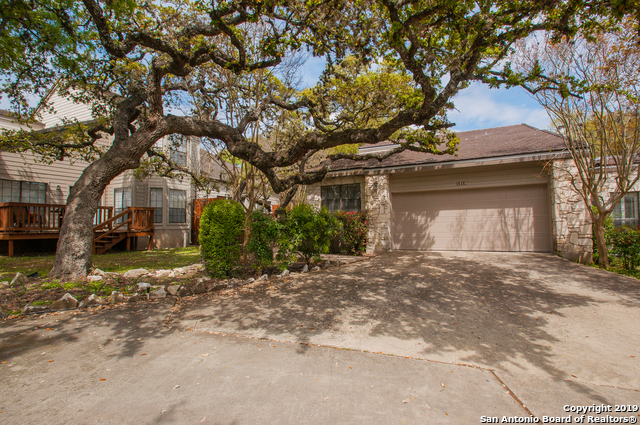 All CANYON CREEK VILLAGE homes currently listed for sale in San Antonio as of 04/25/2019 are shown below. You can change the search criteria at any time by pressing the 'Change Search' button below. "One-story, 2 bedroom, 2 bath condo in the well desired Canyon Creek Village Complex. Right off Blanco road close to 1604, 281 and Wurzbach Pkwy. This small gated, beautifully landscaped community full of oak trees has onsite HOA management. Two stone fireplaces in the living room and master bedroom make this unit the cozy home you've dreamed of. Large patio looks into the trees and open outdoors perfect for relaxing outside and watching the deer go by." "Great location! Nestled under mature trees, in established community, this 3 bedroom, 2.5 bathroom town-home offers soaring ceilings, 1923 square feet of living space, combination living & formal dining room, fireplace in living room. Kitchen is light & bright, features lots of cabinet storage & counter work space, smooth surface stove/range, built-in microwave oven & breakfast nook. High ceilings & full baths in bedrooms. Bonus loft/living area upstairs. Covered patio area. Award winning NEISD "